It was the Jaguar F-PACE’s elegant, sculptural lines that helped it win World Car of the Year and World Car Design of the Year – but you’ll never have seen them like this before. 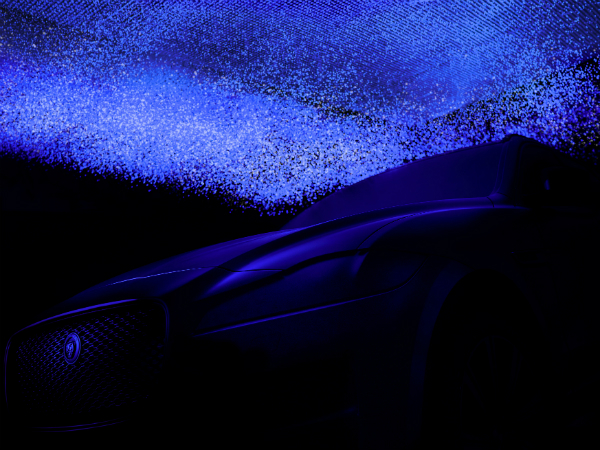 In an extraordinary film called Backlight, which you can watch here, the prize-winning F-PACE’s contours are rendered in luminous ultraviolet using the process of flow-visualisation, whereby liquid receptive to ultraviolet light is blown across a vehicle’s exterior. Normally reserved for the design process to expose the aerodynamics of individual panels, flow-visualisation has instead been employed as an artistic medium, to celebrate the entire silhouette of the F-PACE which has scooped 70 awards this year. You can watch how this amazing effect was achieved on the behind-the-scenes video below. TEAMTALK APPVENT CALENDAR WINDOW #12 of 12!